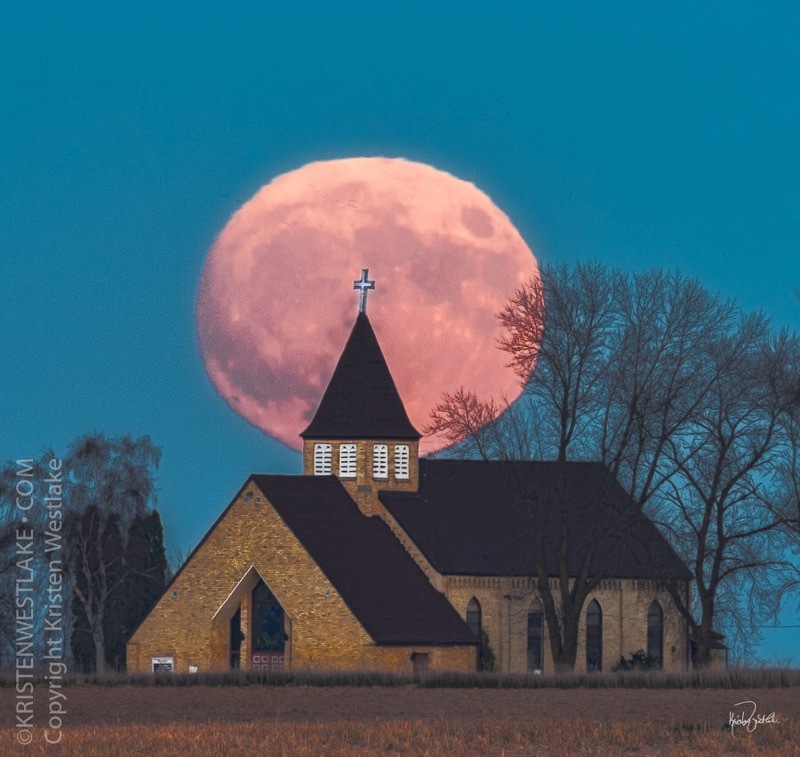 the supermoon over Trinity Lutheran Sunday evening. (11/13/2016). Ah, it happened just as I had hoped. I'd wanted to photograph a full moon over my country church on the hill for a long time .. but it never was quite the right sightline. But this evening at 4:31 I saw the big pink ball begin to rise just slightly to the left of the church at 75º azimuth. I was just about a mile away and with a 600 mm lens the perspective gives me the appearance of a smaller subject against a gigantic moon. .. so therein lies the 'secret' to this image. ... Well, the long focal length at a big distance and the patience of planning (knowing where the moon is going to rise and where to stand in relation to a subject and if that is even possible (for instance, the moon rise will never occur at 10º or at 170º, etc, etc)). One of the things I love about photographing locally is running into friends literally ON THE ROAD. Annette Clark and Tim Clark happened along the way as I was standing IN the road ... I hadn't seen them in a long long time .. they parked and got out and we chatted along, enjoying the moon as I made images. And last night at Holy Hill .. I sure enjoyed so many others out there seeing the moon above the spires as it rose. What a wonderful thing the moon is; God's way of uniting friends and strangers in ways that so many things of this earth are incapable of accomplishing. Enjoy that super moon! Do you want a print? 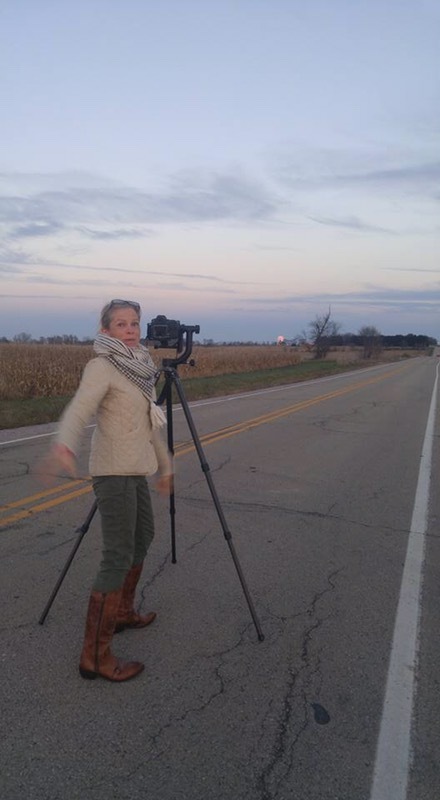 Me standing to photograph the rising moon over the church. See that little pink ball in the distance? It's the moon!